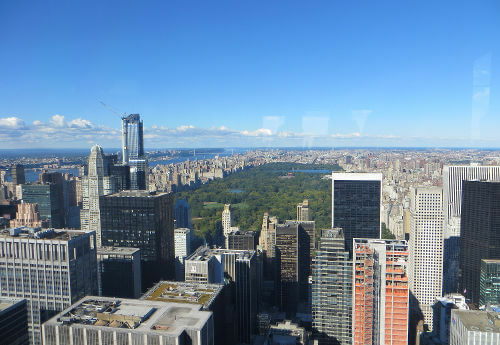 New York is such an amazing city to spend a few great sightseeing days! 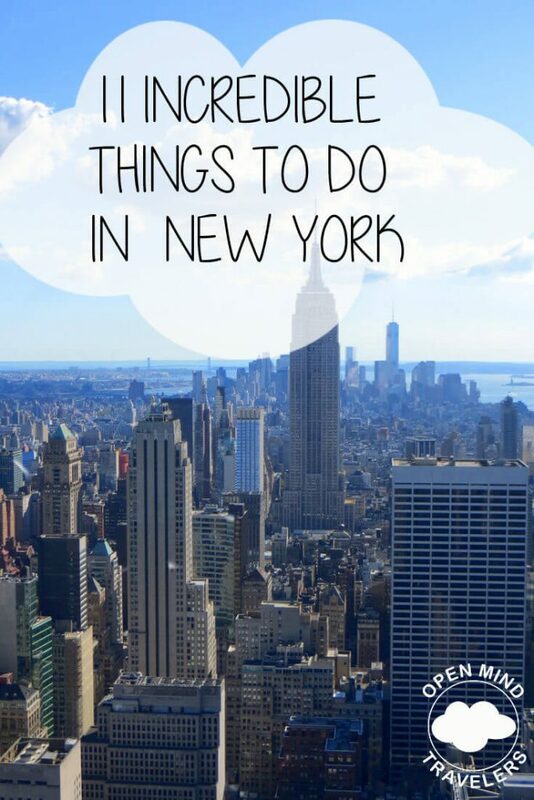 We want you to see the best and so we made a list with 11 incredible things to do in New York City. Go on a 22 minute ferry ride, which is for free and enjoy the nice scenery! The ferry leaves weekdays every 15-20 minutes and every 30-60 minutes on the weekends. 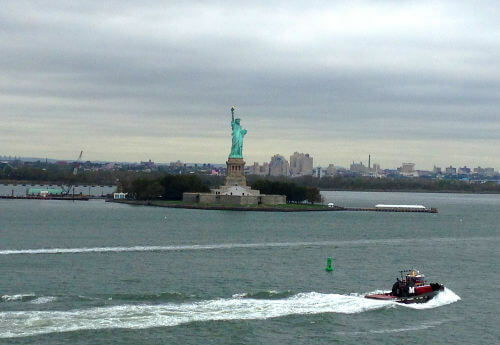 The Staten Island Ferry travels from Manhattan (Whitehall Terminal) to Staten Island (St. George Terminal ) and back. 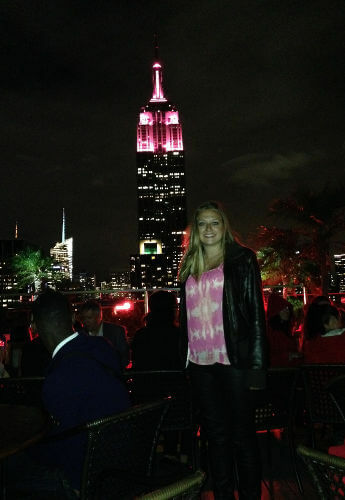 We love rooftop bars in big cities. The views are just incredible! 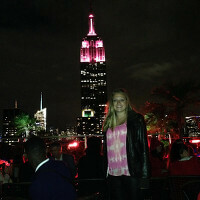 This photo of me was taken on the rooftop bar “230 FIFTH Rooftop Garden Bar and Restaurant”. You will have the best view of the Empire State building, but for europeans the cocktails are pretty expensive, starting at 15$. The Time Square is another typical thing to do in New York. Walking around can drive you crazy, because it is so busy and crowded, but it is also super exciting. Don’t miss out this guy on the photo! 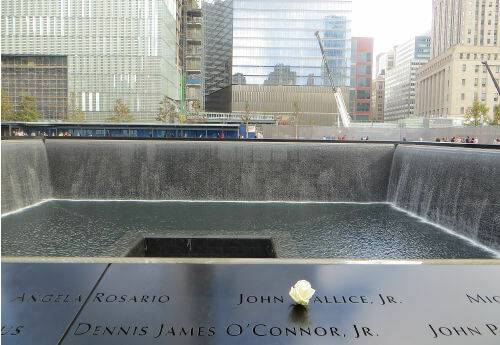 The 911 monument is very meaningful and incredibly moving. It’s a must visit if you are in New York. After spending a few hours or days in the busy city of New York, you feel like in a different world when you enter the Central Park. This is an unbelievable quiet place with fresh air and we love to walk around and relax. 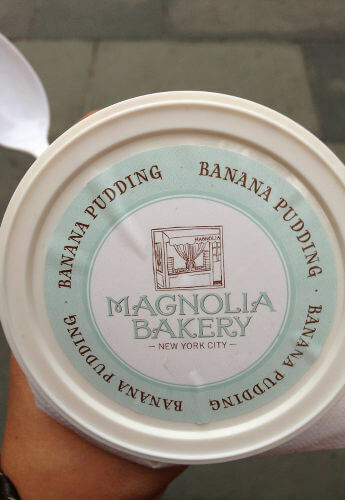 When I think about New York, I always think about the most delicious pudding in the world: Banana Pudding. Before I even tried it, I was almost sure I would not like it. But my best friend Kira told me I need to trust her and get it. And this is for sure the best pudding ever and you can only get it in the Magnolia Bakery New York. 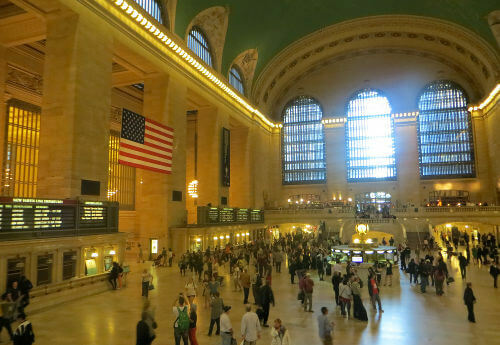 After seeing all these american movies, you need to see the Grand Central Station with the famous clock in real life! Enjoy! 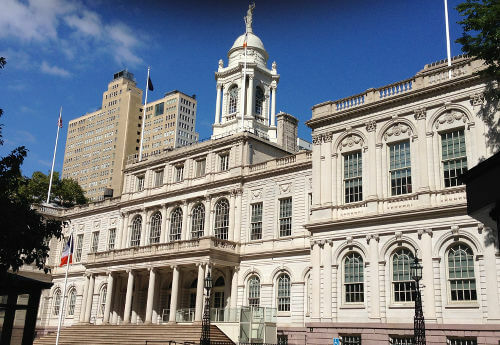 Our last recommendation is the City Hall of New York, which is a really nice building. 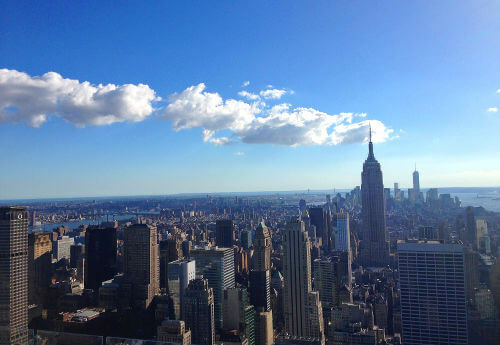 Walking around in that area, eating a hot dog in the street and exploring New York, this is how we like it!